After more than five decades, the Yellow Pages will stop being available for print as of January 2019. We live in a digital world where the number of daily searches on Google alone are calculated at 3.5 billion—1.2 trillion searches per year worldwide. And with Internet users transitioning from books that weigh almost four pounds to simply clicking a computer mouse for directory assistance, it makes sense that companies such as law firms would want potential clients to be able to access their organizations from a variety of channels, including Yelp and Google reviews. San Francisco-based company Yelp has more than 100 million reviews. And Google is quietly skyrocketing in reviews, increasing by 80 percent from 2013 to 2014 and an impressive 278 percent between 2015 to 2016. With more eyes and feedback on these reviewer sites, is your law firm verifying that the contact information on these reviews is correct? Is the search engine optimization (SEO) for your firm law doing its job by cross-linking your review page to your official site on the first or second page of a Google search? And are users able to access reviews from your firm? Observe the SEO results of your firm versus those of your competitors. While the first page of a Google search may showcase your law firm’s name, physical address and website, pay attention to what distinguishes your law firm’s search results from another. It could be a number of things, including social media channels, related articles, blogs, videos and directions. But there should be something to make your law firm stand out once those links are selected. While SEO for your law firm may pull in the bare minimum (name, address, contact phone number) on review sites, you may not know that other law firms are able to run ads on your page. For example, Yelp ads will highlight how far in miles your firm is from your competitors, making it too easy for potential clients to drive on by if your law firm review page is incomplete. If your Yelp page has no reviews, and users are able to see other law firms with previews of multiple reviews, it’s safe to say that they’ll check out the competitors instead. Google is a little more subtle by simply using miniature images and suggestions for what other people searched for (i.e., other law firms), which still leaves too much opportunity for competitors. So why not recommend your own clients leave reviews on sites such as these to help avoid losing new clients before they have a chance to learn more about your firm? 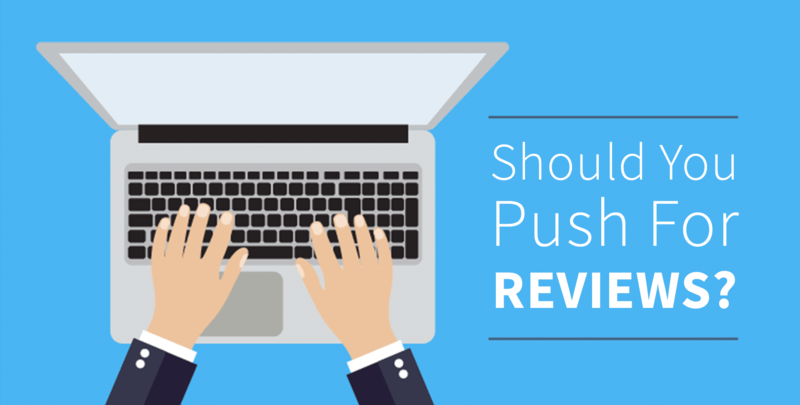 The more active your review page is, the higher it’ll rank for SEO results. And the higher it ranks for SEO results, ideally you will gain more attention for potential clientele. Client-attorney privilege is a must within the legal industry. However, word of mouth is one of the most effective tools to help build new and repeating clientele. And sometimes that “word of mouth” may not be a verbal conversation. It could be in the form of a social media share or a review online. A new client may notice those four- and five-star reviews on the right-hand side of Google’s search engine page. While positive reviews are an essential component of your own law firm website too, in order for new clients to access those reviews, they have to be able to find you in their search results. Reviewer sites are a one-stop shop for a larger Internet audience who doesn’t quite know where to start. It should be delightful to find clients who have left reviews, even without being asked. This is a great opportunity to bot thank the client and take advantage of SEO keywords, too. Whether it’s through a social media specialist or on your own, algorithms pick up text used in your reviews. A user who searches for “divorce lawyer” on the reviewing site will be able to find you as quickly as someone specifying law firms in certain geographical areas (ex. “Chicago lawyer”). Use SEO keywords even when replying to reviews to help your firm be found easily. With or without the tried and true Yellow Pages, taking advantage of all online platform directories will help your law firm get well on its way to more opportunities.